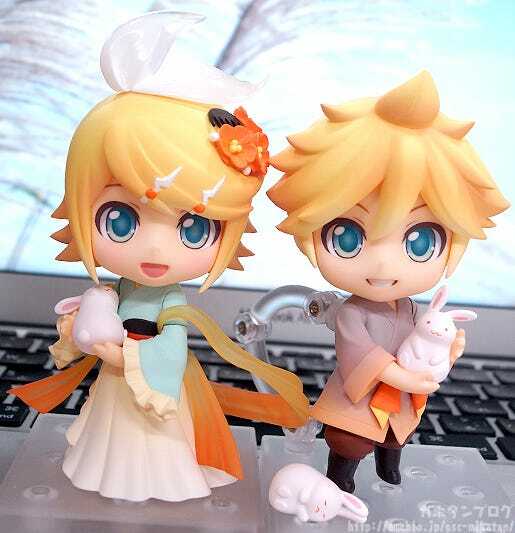 Kahotan's Blog | GOOD SMILE COMPANY Figure Reviews | Nendoroid Rin & Len Kagamine: Harvest Moon Ver. I have astigmatic vision which makes me see twin moons when I look up at the moon. But I can see the patterns nice and clearly! 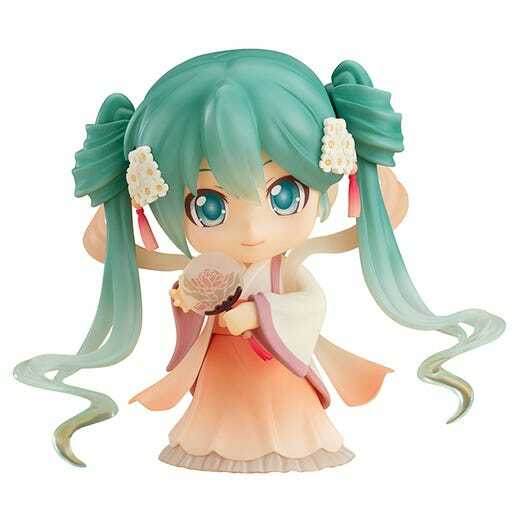 Just like the previously released Miku-san, the outfits are based on illustrations by the Chinese illustrator Rella! ▲ The illustrations that the Nendoroids are based on! 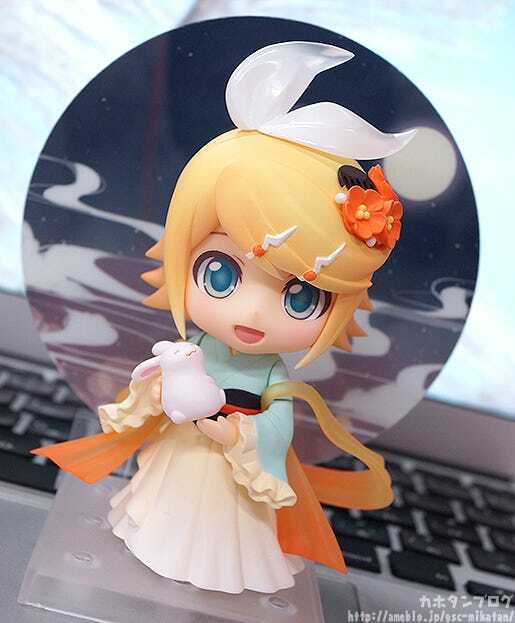 From the “Character Vocal Series 02: Kagamine Rin/Len” comes a Nendoroid of Kagamine Rin dressed up in outfit based on those seen at the Mid-Autumn Festival in China. While the colors used for her outfit have a mature look, the beautiful raiment flowing around her keeps her bright orange image color. She comes with both a cute smiling face plate, as well as a self-satisfied expression as if she had just enjoyed playing a prank on Len. 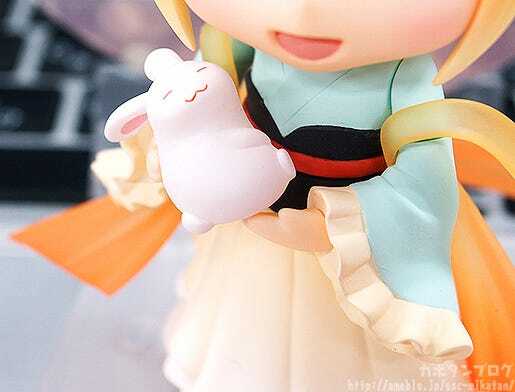 She also comes with a cute white bunny which can be held, as well as a beautiful lotus lamp for her to hold. A special background panel that brings out the atmosphere of moon viewing is also included, illustrated by the same artist that designed Rin’s outfit – the Chinese illustrator Rella. 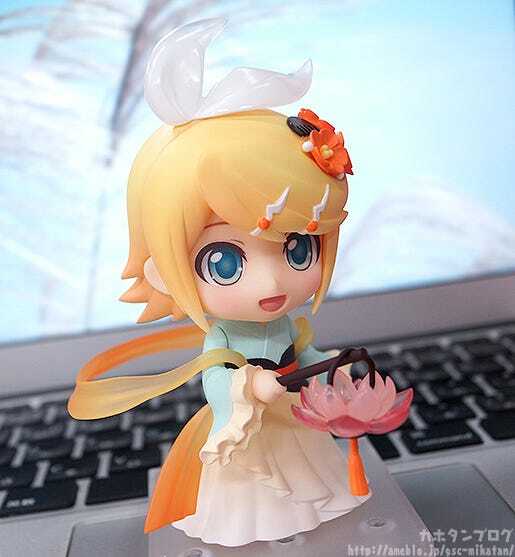 Be sure to display her together with Nendoroid Len Kagamine: Harvest Moon Ver. and gaze upon the beauty of the moon with Rin and Len by your side! 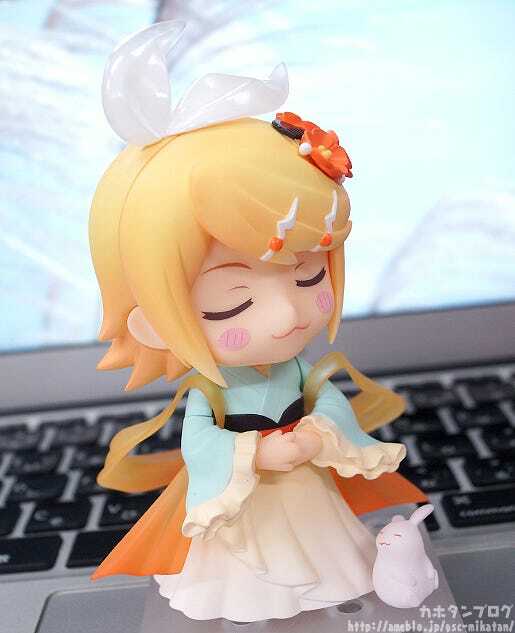 A sweet figure of Rin heading out to view the moon! The background panel is included with the figure and comes with its own attachment parts to display behind her like this! The sheet is also illustrated by Rella, the same illustrator that designed the outfits for the characters. ▲ This is how she looks from the back! 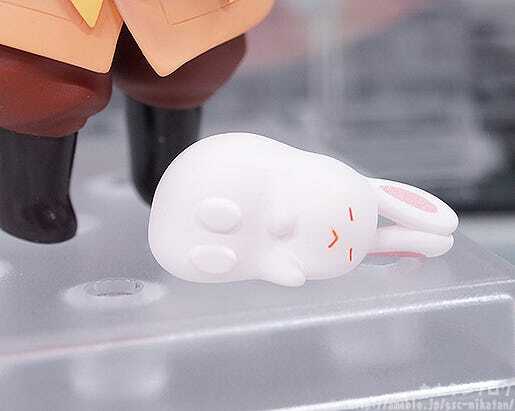 She also comes with an adorable little bunny which she can hold in her arms!! Just look at that sweet smile on his face!! ▲ The bunny has a bit of a plump appearance! I want to pet him!! 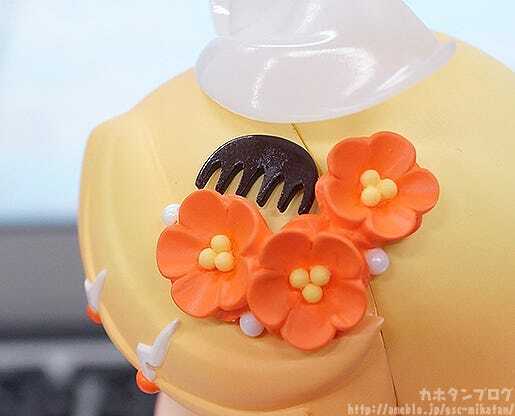 Although the outfit is rather simple, the details on the included parts and accessories is really impressive! The lotus lamp is once thing, but also take a look at the intricate detail of her hair accessories!! A cute self-satisfied face plate that suits her so well!! 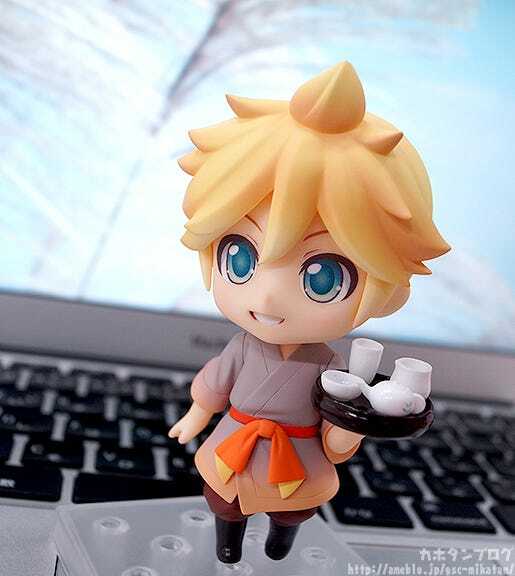 From the “Character Vocal Series 02: Kagamine Rin/Len” comes a Nendoroid of Kagamine Len dressed up in outfit based on those seen at the Mid-Autumn Festival in China. 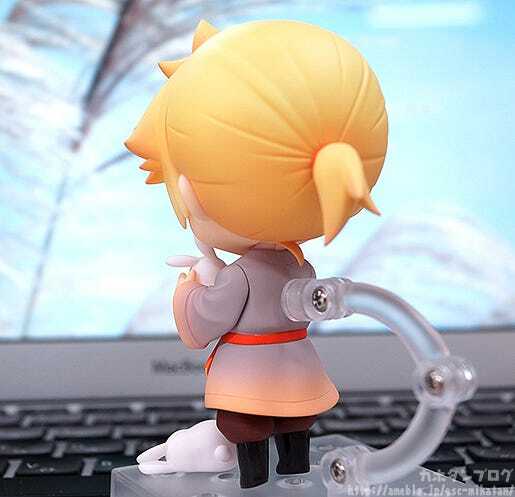 He comes with both vibrant smiling face plate as well as an embarrassed face plate for when he is tricked by Rin! 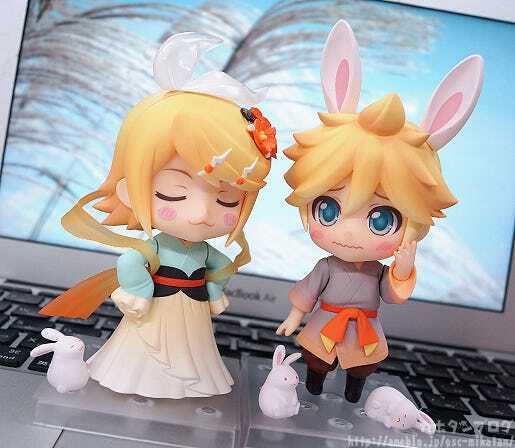 Two cute little bunnies are also included which Len can hold or simply be displayed lying beside him, and he also comes with a Nendoroid-sized Chinese tea set as well as some bunny ear parts for a more playful display! 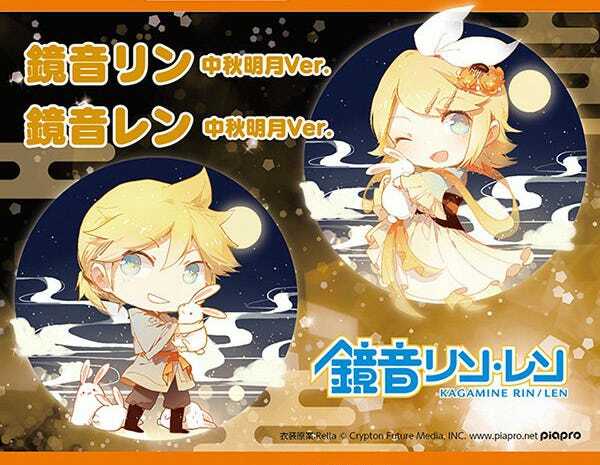 A special background panel that brings out the atmosphere of moon viewing is also included, illustrated by the same artist that designed Len’s outfit – the Chinese illustrator Rella. 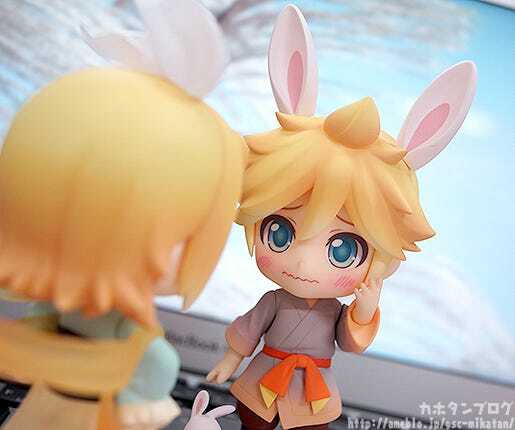 Be sure to display him together with Nendoroid Rin Kagamine: Harvest Moon Ver. and gaze upon the beauty of the moon with Rin and Len by your side! 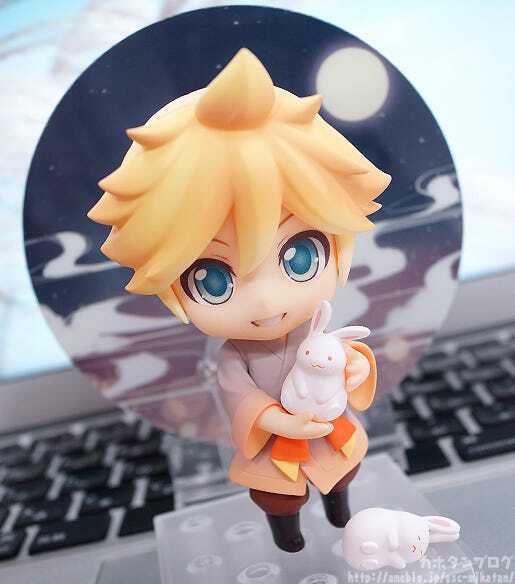 Len is going out moon viewing with cute bunnies by his side! ▲ Simply match the hair with any pose you want! An embarrassed expression and bunny ears! The expression makes for such a nice contrast to his standard, confident smile!! The wriggly mouth and red cheeks make him look so very out of his element! Spend a night moon-watching with Rin and Len! They will be up for preorder from the 27th April 2017! 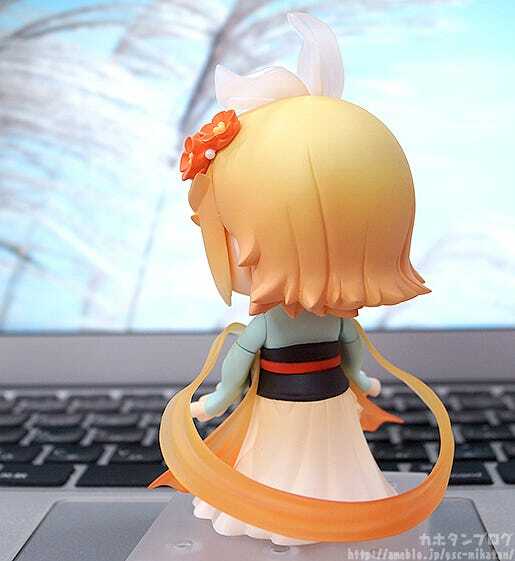 Please note that this item is a GOODSMILE ONLINE SHOP Exclusive! It will not be available at our standard partner shops, so be careful not to miss out! *They may be available at select events in the future.